Yoko Nishi (koto) started learning koto at the age of four and formally studied koto under the modernist performer-composers Tadao Sawai and Kazue Sawai. In 1980, Ms. Nishi won a prize at the Sankyoku competition at the age of sixteen. After graduating from Tokyo University of the Arts, she performed in front of the Japanese Emperor and Empress at the Imperial Palace as a representative from the University at an event organized by the Imperial Household Agency. 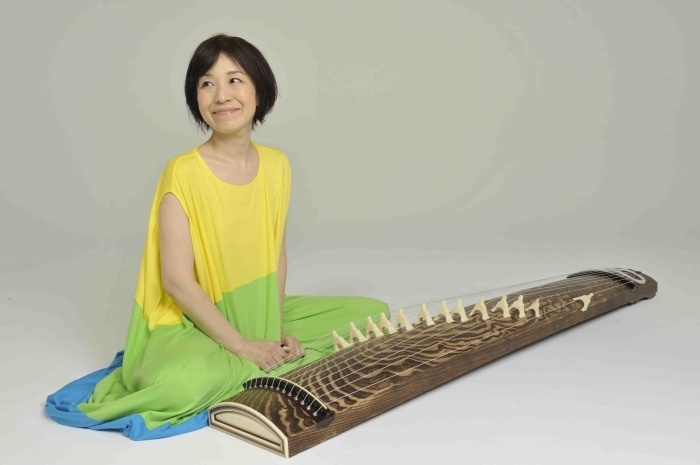 Her repertory ranges from traditional pieces to contemporary works by John Cage and Yuji Takahashi, collaborations and improvisations with Western instruments, DJs, poets, and artists. She has also become one of the lead performers of ancient musical instruments at the National Theatre, Tokyo. She has performed for international festivals and venues including the Moers Jazz Festival (Germany), Bang on a Can Festival (USA), Transonic2003 (Germany), and the Boston Museum of Fine Arts. In 2008, Ms. Nishi performed at an event organized by the governor of Tokyo at the World Economic Forum in Davos, Switzerland. She was also invited to the London Chelsea Festival in the U.K., and had solo concerts in the USA (Washington, D.C., New York, and Chicago) that same year. In 2009 she gave concerts in Hungary (Budapest) and Germany (Berlin, Koln, Frankfurt, and Munich), and 2010 she performed at the Shanghai Expo, and at the Carnegie Hall JapanNYC Festival (Artistic Director, Seiji Ozawa). She has released three solo albums Fantasma (2002), Seasons of Kumano (2010), and The Sea in a Moonlight Night (2011). Miss Nishi has been a visiting professor of Kansai University (2008-2011) and is currently artist-in-residence at Columbia University (2010-2012). She debuts with Yasuka Nambu (flute) in the launching of the NINA Duo at Weill Recital Hall at Carnegie Hall in December 2011.